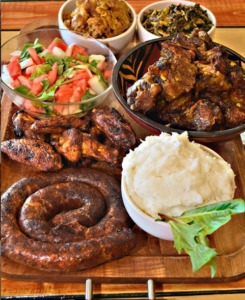 Zweli’s Piri Piri Kitchen – named for the piri piri pepper, a variety of chili pepper native to Africa that is sometimes referred to as a “bird’s eye chili” – might be the only Zimbabwean restaurant in the United States. 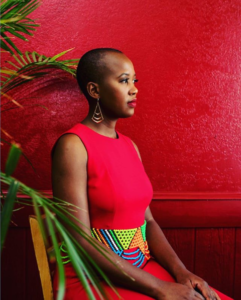 According to chef, co-owner and namesake of Zweli’s, Zwelibanzi Williams, it’s a staple in the cuisine that most reminds her of home. Williams grew up in Zimbabwe, attending high school there before moving to the United States to attend college at North Carolina Central University. 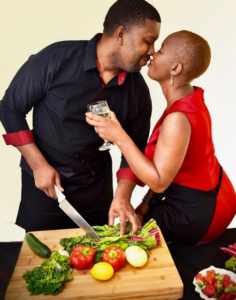 She began her culinary career as a caterer, but her skill in the kitchen is now accessible to anyone who wants a taste of traditional Zimbabwean food as she and her husband, Leonardo Williams, have invested in their first brick-and-mortar location. From the signature Piri Piri chicken, seasoned with a homemade marinade and grilled over flame, to spiced collard greens with Zimbabwean peanut butter, the menu at Zweli’s is as varied as it is unique. Vegetable samosas and fried curry cabbage are side-by-side with oxtail and boerewors – a type of South African sausage. You can listen below to Zweli and Leonardo speak with WCHL’s Aaron Keck about their restaurant and the road that led them to opening Zweli’s, and watch here to see Aaron Keck and Aaron Hall work their way through a tasting menu of Zimbabwean cuisine live on the air!